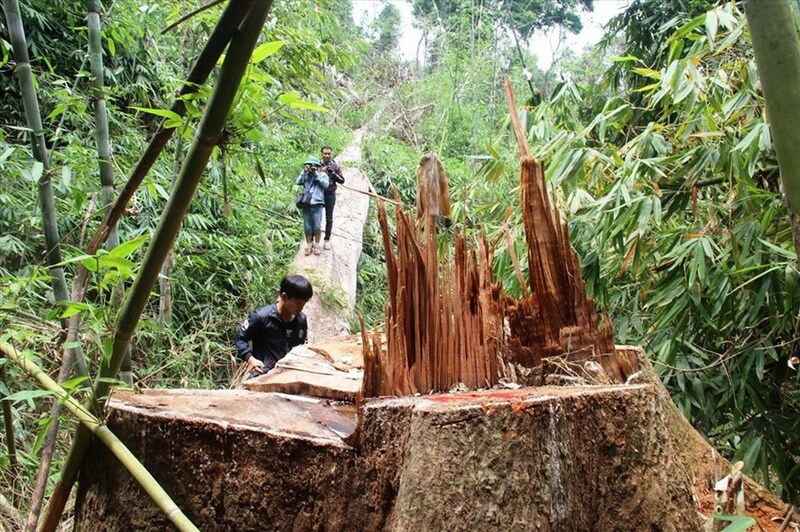 Vietnam has lost over 936 hectares of forest in over 1,700 forest destruction cases this year, said acting head of the Forest Protection and Development Department under the Ministry of Agriculture and Rural Development. According to Tung, more than 12,900 forest violations were found so far this year, down 3,500 cases against 2017, including 1,727 forest destruction cases which harmed 936 hectares of forest, down 35% on-year. Fines were issued for 10,900 forest violations, down 22% on-year. Despite the lower forest destruction cases, the cases which were prosecuted sharply increased with 363 cases, up 16% against 2017. Around 16,027 cubic metres of wood were confiscated, contributing VND143 billion (USD62.17 million) to the state budget. Authorities also seized 4,967 illegal timber transportation incidents, down 25% on-year. The Forest Protection and Development Department said that 33 provinces proposed reclassifying 122,851 hectares of forest for different usage. Among those, proposals by 22 localities were approved by the prime minister.